The antics of Linux vendors in the enterprise environment conjures up pictures of an elephant race on the highway. Inch by inch, Ubuntu, Red Hat, and SUSE slowly squeeze past one another, each trying to anchor its market position with a new major release. Don't expect any giant leaps or rapid overtaking maneuvers, though – all the market players focus instead on demonstrating their robustness and efficiency through perseverance and consistency. The long-term support (LTS) of enterprise distributions is a curiosity in the otherwise fast-moving FLOSS world. Canonical, Red Hat, and SUSE launch a product and commit to maintaining it over a period of years. This long-term commitment means admins can plan for long maintenance cycles of five years or more, instead of having a major update every two years; even long-term support is available at a premium . In contrast to desktop distributions, enterprise versions primarily focus on stability. Red Hat and SUSE have their own test labs, in the form of the community editions of Fedora and openSUSE, where new features take a test run before making their way into the company's enterprise product. Enterprise distros also set the bar higher for eliminating bugs, so each update requires more work than a community distro. Red Hat, for example, refuses to distribute kernel updates or even updated versions of the enterprise distribution's packages. A new feature might be added as a tech preview in later minor releases, but for the most part, users have to wait for a major release to find anything new. All eyes thus watch expectantly for each new enterprise release. After all, whatever Red Hat gets wrong in version 7.0 will burden the company for a long time. In this article, I show what RHEL 7  really can do, what has changed compared with the previous version, and whether the update is worthwhile. Installing a Linux system is not really anything special, especially not in these times of colorful installation routines. Red Hat remains faithful to its Anaconda base in RHEL 7, garnishing it with a simple graphical interface (Figure 1). Figure 1: The Red Hat Installer is still based on Anaconda and offers plain cooking in the best sense of the word. Some pitfalls still await admins who rush in. If you guide the configuration according to the icons marked with a red exclamation mark in the installer, you will end up with a working RHEL 7 installation at the end of the day; however, it will also lack practically everything you need for effective work – such as a hostname, a proper network connection, Perl, and a graphical user interface, to name just a few (Figure 2). Figure 2: Caution: If you opt for the minimal package selection, you end up with a system without Perl or a GUI. Installing a package set makes more sense. To aggravate the situation, the keyboard layout settings at the command line are not those you set at the start of the GUI installer. Just imagine, for example, a French or German admin sitting in front of a TTY that has a US layout assigned to it trying to type in the non-standard characters they use for their passwords. 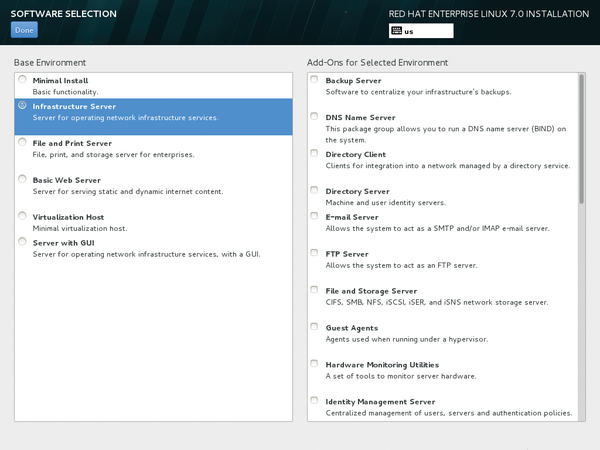 For a far easier time, you will probably want to opt for a GUI in the package selection phase of the RHEL 7 installer. After a reboot and after agreeing to the Red Hat EULA (Figure 3), you end up in a Gnome 3 desktop with your choice of language (Figure 4), running in the special "classic" mode and with the keyboard layout that you chose – even though Gnome insists on asking you again if you really want that layout. Figure 3: Linux, yes, open source, yes – but still with an EULA to confirm after the reboot. On first start, admins need to click their way through the Red Hat license before they can continue. Figure 4: RHEL 7 comes with a Gnome classic desktop, which is strongly reminiscent of Gnome 2 but also includes some Gnome 3 elements. If you choose this desktop, you can also rely on having the correct keyboard layout. Many changes go pretty much unnoticed by admins in distributions with long-term support. The change of the default filesystem in RHEL 7 is a good example, because only a call to mount at the command line reveals that RHEL 7 uses XFS. Thus, XFS replaces the previous default ext 4, although the latter is still available. The reason for the change, Red Hat states, is that a default installation can now use a big storage device with up to 500TB, but this just appears to be an excuse. The red hats are not saying anything about other potential motives. It is conceivable, though, that Red Hat was long dissatisfied with ext 4 because of its known performance issues and actually wanted to switch to Btrfs with RHEL 7. However, because Btrfs is not ready, and nobody can say when it will be, Red Hat may just have switched to XFS instead, because it is viewed to be equally as well integrated and stable as ext 4. 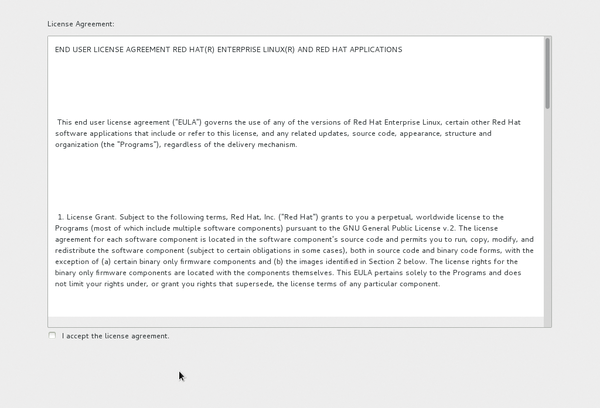 Incidentally, Btrfs is available as an option in RHEL 7, and Red Hat supplies it with its own Snapper  snapshot tool. 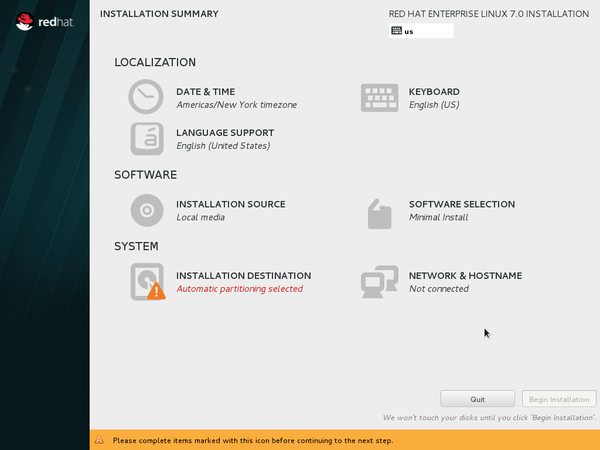 If you want to try Btrfs on Red Hat systems, you can simply activate it in RHEL 7. The new release features improvements across the board, from performance to security. Two in one: the RHEL clone, X/OS Linux, combines the server and client variants of Suse Red Hat Enterprise Linux. Version 5.0 has just been released.